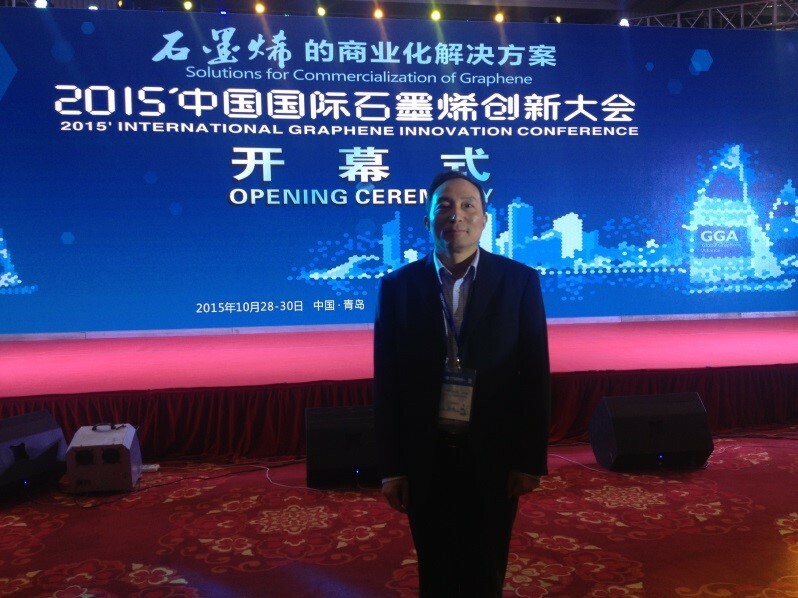 During Oct. 28-30, Prof. Jin participated in 2015 International graphene innovation conference hosted by China graphene industry technology innovation strategic alliance in Qingdao, China. He was invited to give a lecture on “Graphene oxide-based membranes for molecular separation”. Graphene oxide (GO)-based membranes have shown great promise for gas and liquid separation. We have developed membranes with well assembled GO lamellae which provided molecular sieving gas channels for efficient CO2 separation and selective water channels for highly effective pervaporation dehydration of aqueous organic solution. Meanwhile, our ceramic-supported technique endows GO membranes greater potential for future practical separation applications.